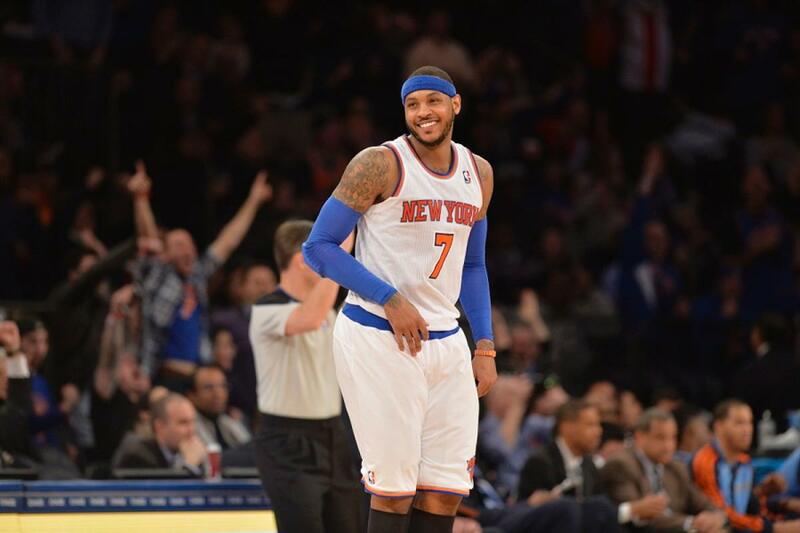 In a post made minutes ago on his website, Carmelo Anthony announced that he will return to the Knicks. Anthony met with the Mavericks, Bulls, Rockets, Lakers, and Knicks before making his decision. Terms of his new contract should be released shortly, but it is expected that he will take a slight pay cut rather than signing for the maximum salary. I am a New York Knick at heart. I am looking forward to continue my career in Orange & Blue and to work with Phil Jackson, a champion who builds championship teams. Madison Square Garden is the mecca of basketball and I am surrounded by the greatest fans in the world. This entry was posted in Articles and tagged carmelo, carmelo announces return, carmelo anthony knicks, carmelo coming back, carmelo staying, carmelo stays, KNICKS, Knicks news, knicks sign melo, melo on July 13, 2014 by Tommy Rothman.